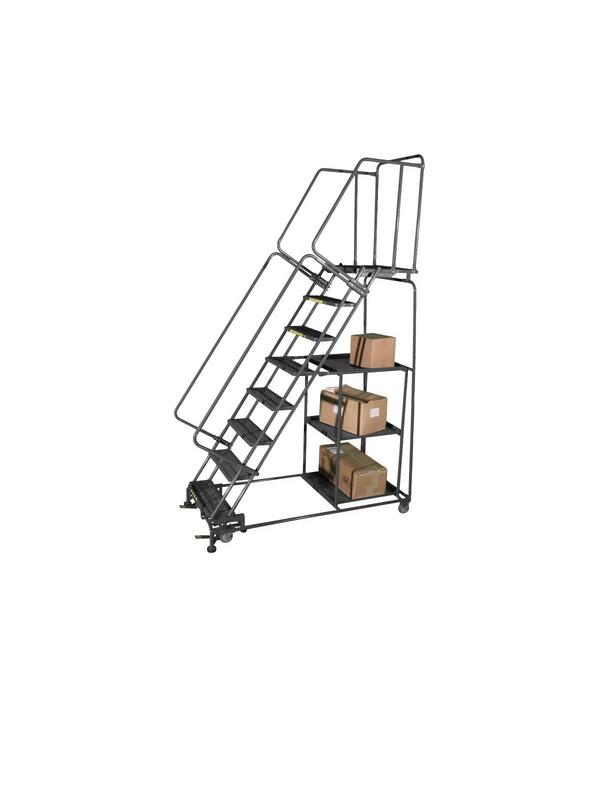 Stock Picking Ladders | Latta Equipment Company, Inc.
Combines the benefit of a rolling safety ladder and a stock picking cart. Choice of 14"D. top step or 21"D. top step. Sturdy shelves; 2 shelves on 6-7 step models; 3 shelves on 8-12 step models. Combined 600 lbs. capacity -- 300 lbs. for the ladder and 300 lbs. for the storage shelves. Gray powder coat finish. Treads available in Expanded Metal (X) or Perforated Step (P). FOB Shipping Point. 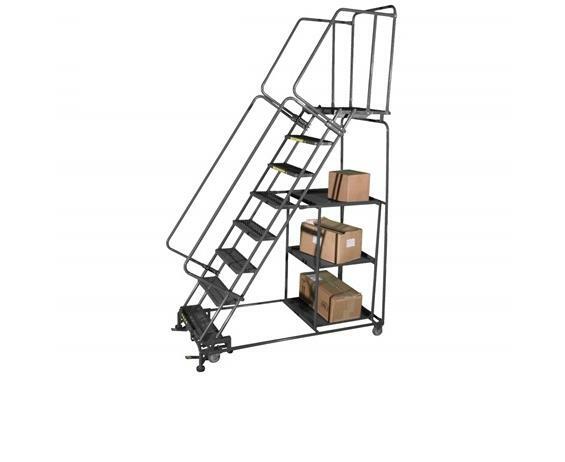 See Related Items tab for Stock Picking Ladders Options. Ships unassembled for freight savings. 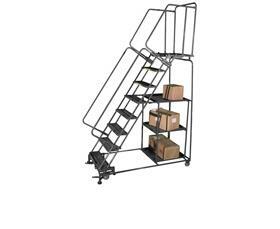 For shipping as fully assembled ladder see Related Items tab for more details.